I’m very conscious of how my house smells for visitors especially since I have two cats. I don’t think my house smells, but I’m probably so used to it I wouldn’t even notice it if it did. I’m constantly lighting candles and spraying air fresheners just in case. I remember visiting a person’s house that smelled so bad that I couldn’t even stay more than five minutes. The person had cats that I think sprayed and it was so overpowering. I literally gulped fresh air when I got outside. The air quality was not good in that home! As someone who works from home, I spend most of my time in my house. I never really thought of the quality of the air and it’s effect on my health until recently. Did you know that we have the ability to control the quality of our indoor air? I thought the only way was to open a window and let the room air out, but there is another easy way you can improve air quality. Lampe Berger purifies the air and gives you better air quality by removing air pollutant molecules. In addition to purifying the air in your home, Lampe Berger also destroys odours and diffuses long-lasting fragrance. You will notice a difference once you try one! Instead of masking odours with air freshener, get rid of them altogether. It makes sense to me. 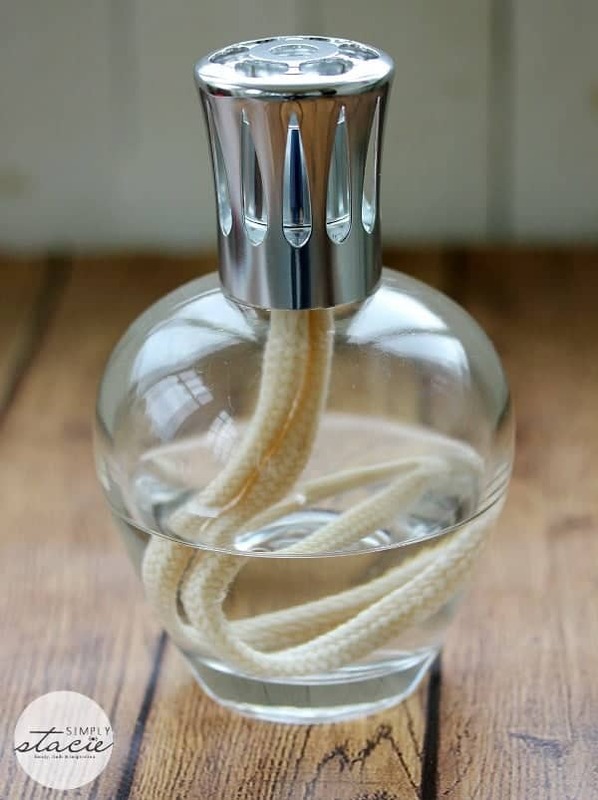 Lampe Berger is a system of diffusion by catalysis invented in 1898 by Maurice Berger. Even though it’s been around for such a long time, I had never heard of it before. It was invented to purify the air in hospitals and Maurice Berger had the brilliant idea to add a fragrance to it so it could be used in the home. Lampe Berger now sells 1 million lamps and 5 million litres of fragrance each year around the world. In fact, I was at my parent’s house a couple weeks ago and lo and behold, my mom has her own Lampe Berger! She has been using it for years and loves it. There is no other system like Lampe Berger. It destroys smells with its exclusive catalytic burner that attracts and elimiates noxious molecules at 500°C. 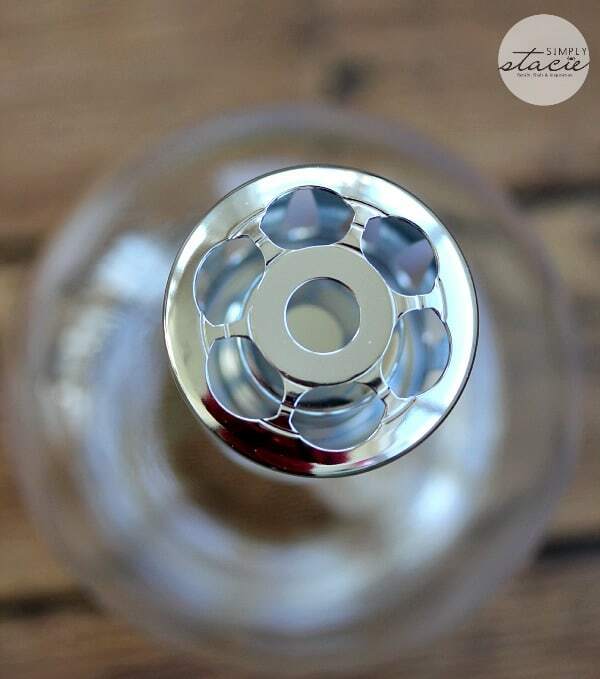 Then the lower temperature core allows diffusion of your fragrance of choice at 200°C. It sounds complicated, but it’s really not. The Lampe Berger couldn’t be any easier to use. 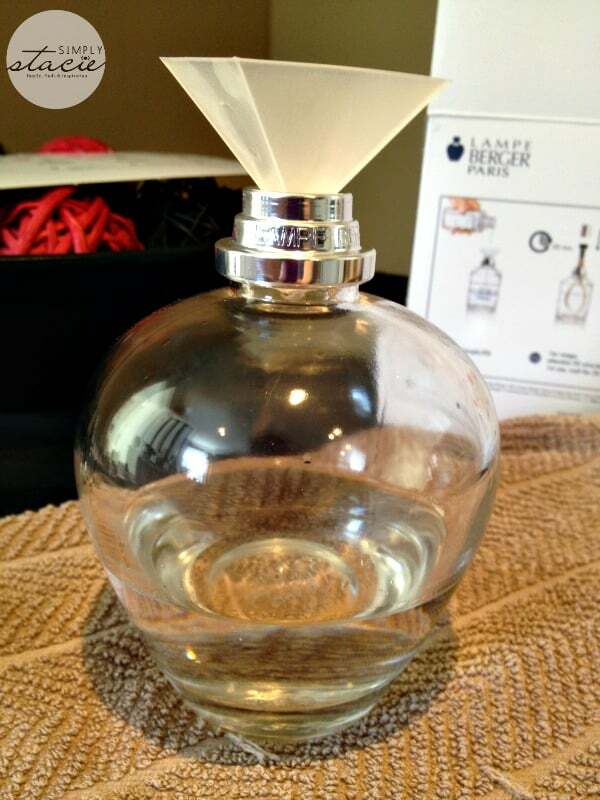 Here’s the six steps to purify and fragrance your air with Lampe Berger. 1. Pour your fragrance of choice into your Lampe Berger to a maximum of 2/3 full. 2. Wait 20 minutes if it’s your first usage. 3. Ignite the burner with a lighter or match and leave it burn for 2 minutes. 5. Put on the protective top for a maximum of 20 minutes. 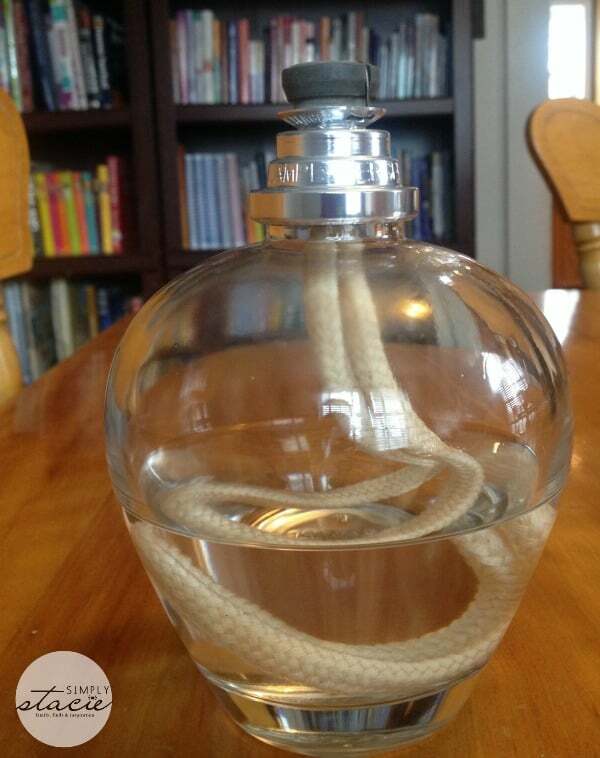 The Lampe Berger will cleanse and perfume the air in your home. 6. Remove the protective top and put on the stopper on the burner. Then add the protective top over top. My Lampe Berger is the Essentielle Ronde Starter Kit which comes with a gorgeous clear round shaped lamp, an AIR PUR SYSTEM 3C® catalytic burner, 1 funnel, 1 stopper, an Essential Neutral fragrance (180ml) and a Paris Chic fragrance (180ml). Neutral fragrance is great if you just want to remove the odours without the fragrance. You can also mix it with other fragrances to dilute the intensity. I’ve been using Delicious Cherry in my Lampe Berger and love the way it makes my home smell. Think black cherries mixed with a little Patchouli. It also lasted hours after I had placed the stopper back on. We came back from our trip to Ontario and I freshened and purified the stale indoor air right away. It made a huge difference in the atmosphere of our home. 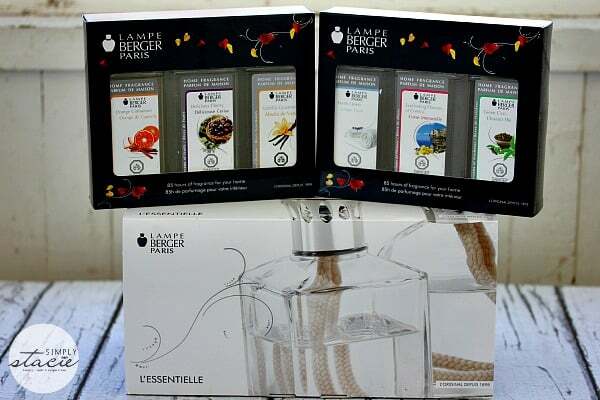 Lampe Berger Home Fragrances are to be used only in your Lampe Berger. 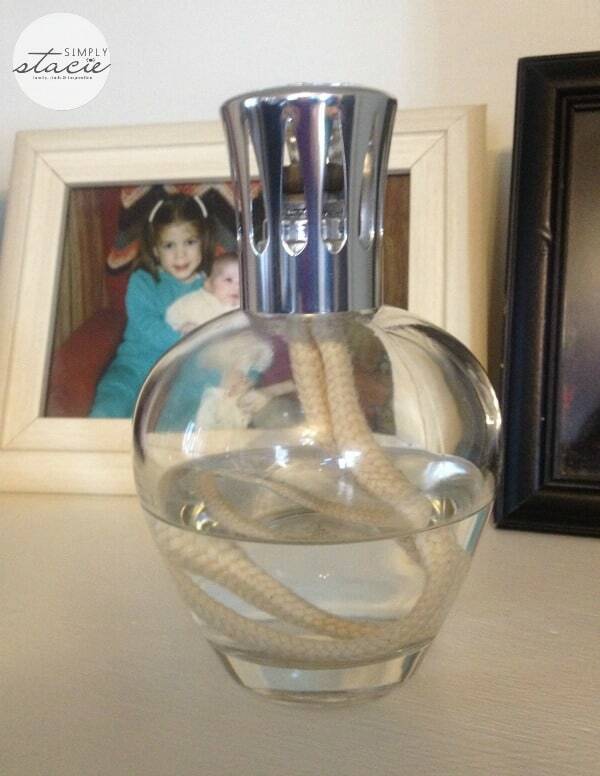 A 180ml bottle gives you about 28 hours of fragrance so they will last you a long time! Lampe Berger can only be found at independent retailers and in fact, they are committed to selling exclusively to them. My mom bought her Lampe Berger at the home decor store in the Pembroke Mall. Use the store locator to find a retailer that sells the lamps and fragrances. I found a bunch of stores that sell them in the Halifax area. My Lampe Berger has its home on the built-in bookshelf in my living room. It has a classic design that blends in seamlessly with my decor. You can check out their other designs and choose one that suits your home. They have over 80 different lamps as well as 40 fragrances. My mom has the cube shaped Lampe Berger in her dining room. I’d like to get a couple more lamps for other rooms in my home. I think it would be great to have in the kitchen to get rid of lingering food smells. The lamps start at $48 and the fragrances are $24 (500 ml) and $40 (1L). They also make a unique and practical wedding or birthday gift. I like the athena black lamp! Lemon flower would be a great aroma. The Lumiere blue lamp with the oriental collection of scents.These lamps are beautiful! Fresh Linen would be perfect ! I like the Swirl frosted lamp! I think I would like something neutral and not too heavy or sweet. Based on this, I think that the Fresh Linen would be a nice scent to have in my home. Everlasting Flowers of Corsica scent sounds great. I would like to have the Sweet Bubble frosted lamp. I would like the Swirl Frosted Lamp! I would love to try the Lemon Flower scent. Thanks! I like Heritage Clear and Zest of Verbena. I would choose the Fresh Linen scent – not too overwhelming. 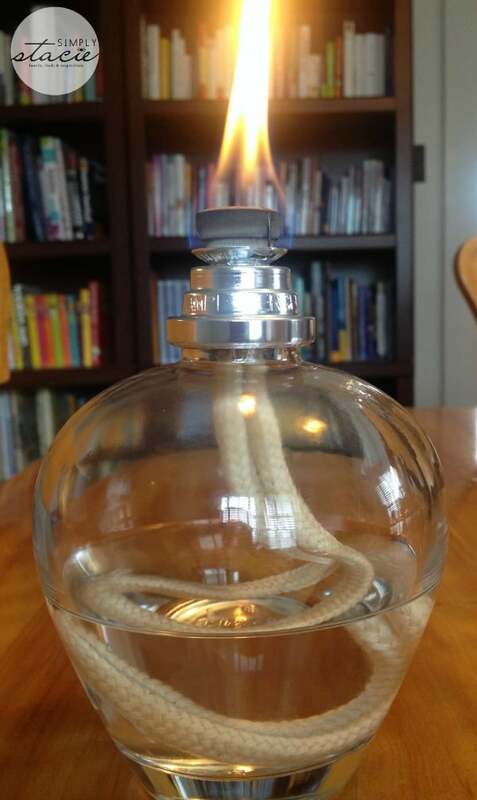 Sweet Bubble Smoky Grey Lamp, sharp ! Just love the style. I’d love the Pebble White lamp! I use to see these when I live in vancouver, bc–now I live in rural saskatchewan next to impossible to find lol…would love to win this product thanks a bunch! I have never seen this product before. I love it. 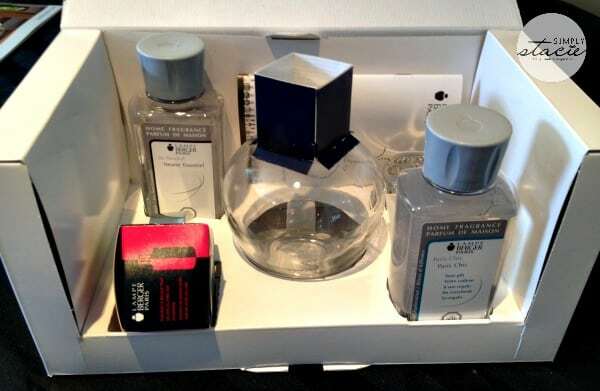 The Lampe Berger collection is just beautiful. I quite like the Stries clear lamp. The Green apple fragrance is one I’d love to try! Wow! So many fragrance choices! I think the Grapefruit, Cranberry, or Green Apple smell would be nice and refreshing. 🙂 I have cats too, and I know what you mean about having to be aware of how your home smells, especially with visitors.